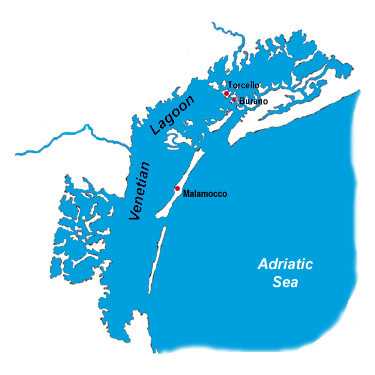 After the withdrawal of the forces of Attila the Hun in late 452, many of the refugees who had fled to the safety of the islands in the Venetian lagoon chose to return to the homes they had left on the mainland. Others, however, especially those who had little to return to, remained on the islands of the lagoon, such as Torcello, Burano and Malamocco. By 466 a consensus emerged as to the need for some basic system of governance. In that year twelve of the communities agreed to form a council of their representatives, who would be selected annually. The first small step toward self-government was not intended to affect the established sovereignty of the Roman [or Byzantine] Empire, centered by then in far-away Constantinople [modern-day Istanbul] with an Italian capital at Ravenna.